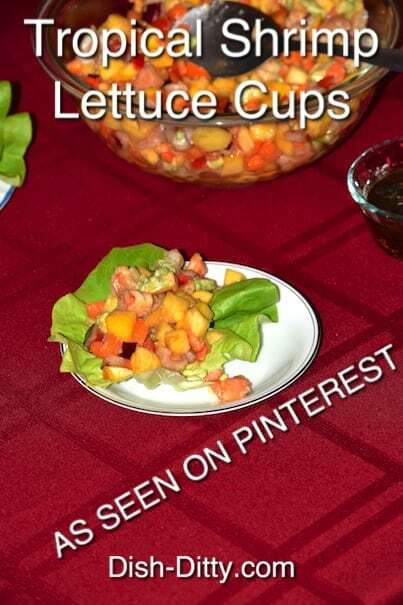 As Seen On Pinterest, this recipe is colorful and is an eye catching dish. When we were making it, we had to make a couple of adjustments. For the original recipe, visit Lemon Tree Dwelling. The main issue was the ratio of lime juice on the sauce. We had to double the lime juice. Also, there was way too much sauce for what was needed. We doubled all the ingredients except the sauce and we still had excess. Another adjustment we made was we tossed the shrimp and vegetables in the sauce first and served some sauce on the table in case anyone needed to drizzle more. No one did. 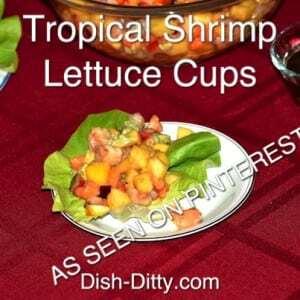 I would also suggest that if you want this as a full meal, double the shrimp as stated in this recipe, the ratio of shrimp to fruit is great for an appetizer or side dish, but there wasn’t enough protein in it for my liking as a one dish meal. Either way you make it, though, I think it’s a winner of a recipe. Thanks Lemon Tree Dwelling! In a large bowl, combine shrimp, red pepper, avocado, carrots, mango, red onion and pineapple. In a separate bowl, combine soy sauce, teriyaki sauce, rice wine vinegar, minced garlic, onion powder, ground ginger, honey and lime. Add about half of the sauce to the shrimp/fruit mixture and toss to coat evenly. 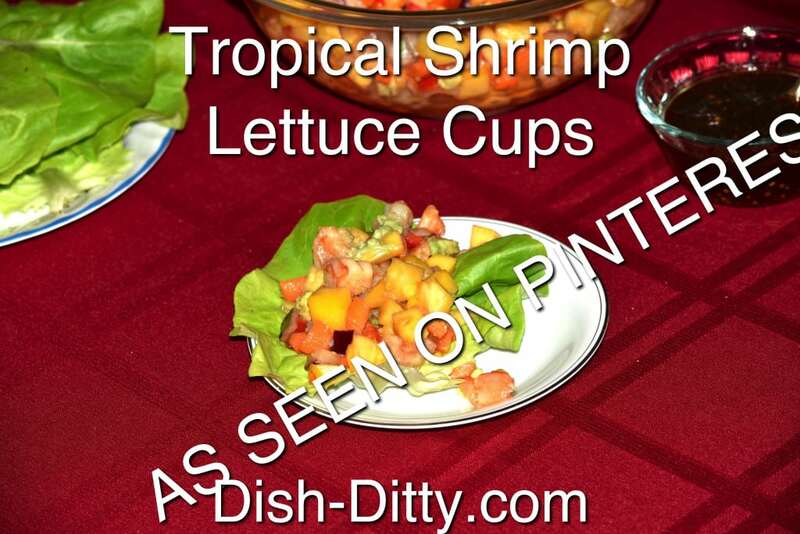 Serve lettuce cups with shrimp/fruit mixture. Drizzle extra sauce on top, if desired. No Replies to "Tropical Shrimp Lettuce Cups (As Seen on Pinterest) Recipe"